European car seat and buggy manufacturer Dorel-Juvenile aims to encourage reuse of materials and less car-centric lifestyles. For most brands, the launch of a sustainability strategy would see the publication of ambitious targets to cut carbon emissions, often accompanied by great swathes of data demonstrating exactly how many lights will be turned off per square metre of office space. Dorel-Juvenile, the product manufacturer behind childcare brands such as Maxi-Cosi, Bébé Confort and Quinny, is taking a markedly different approach in its latest sustainability strategy, launched last month. Instead of focusing on the carbon impact of its business operations, it has adopted a more holistic view of its role in its consumer’s carbon-intensive lifestyles. The result is a sustainability strategy that aims to encourage greener, more socially conscious lifestyles through a radical rethink of the products and services Dorel-Juvenile offers. By 2020, the firm has pledged that more than 20 per cent of its sales will come from new sustainability solutions, which fall under two main categories: second life services and sustainable innovations. “Second life services” include new models to rent, repair and recycle goods, while “sustainable innovations” refers to new products that promote greener, less car-centric lifestyles. 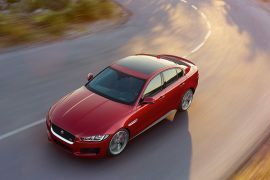 The firm has also pledged to reduce its “footprint” – a combined measure of carbon emissions, virgin material use and waste material generation – by 20 per cent. So two years ago the company launched an internal project to reconsider the future of the company and how sustainability could play a part. Since then it has been developing internal systems to support the new strategy, going public with its pledges only last month. 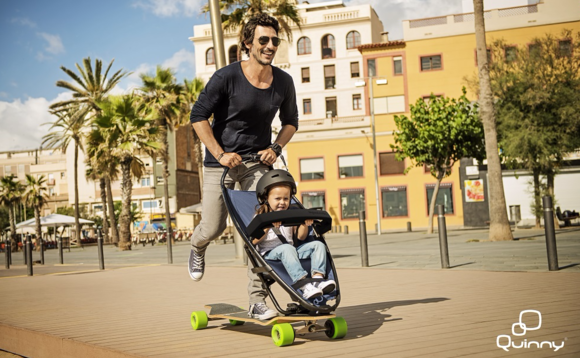 This has led to the launch of the Quinny Longboard Stroller – essentially a pushchair attached to a super-sized skateboard, to allow young parents to snake their way through city streets under their own steam. Although the product may seem slightly off the wall, Schrooten insists it has had a great response from customers since its launch in July. 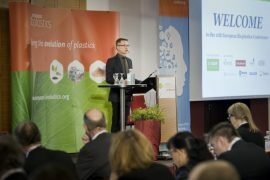 Once customers have invested in new products, Dorel-Juvenile also wants to make it easier for customers to repair and recycle them. Since the start of the year it has been trialling a small-scale rental scheme of specially designed car seats for children with hip dysplasia, a medical condition where the pelvis is malformed and needs to be reshaped in a brace. The brace doesn’t fit normal car seats, so Dorel-Juvenile is allowing parents to rent a car seat that fits for the few months while their child wears the brace, allowing them to return the seat for use by another child once the brace is removed. The scheme echoes the work of initiatives such as From A Mother to Another, a campaign launched in the UK earlier this year and backed by boutique mother and baby brand JoJo Maman Bébé, which encourages families to pass on good-quality children’s clothing to other mothers. The success or failure of Dorel-Juvenile’s new strategy will be much harder to measure than that of a more conventional set of targets – something Schrooten freely admits. But perhaps sustainable business should be about more than just meeting data-driven goals. After all, if the strategy succeeds, Dorel-Juvenile will have helped drive lifestyle changes that are worth far more than the impact of a single manufacturer. 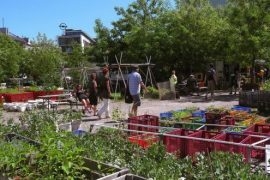 Berlin’s sharing economy: a glimpse of the future?